I totally agree with you. Just because some people prefer a certain look or style choice on themselves does not mean they have something against other styles. It is just their preference that everyone has a right to. I know some people who simply prefer the flat straight or flat curly look because to them it compliments their face better while others prefer the big, afro, wavy, puffy, curly look for whatever reason. After all, isn’t hair like an accessory? It shapes and flatters our face right? So we go for the best look. There are also others like myself with thick big hair but never wear it out in that way not because I don’t like the look but because I don’t want to be bothered with any type of attention that comes with it and that’s because of my personality. I’m really reserved, despise attention and like to keep to myself. So it is all simply a matter of preference. There are always exceptions but for the most part, people tend to make things more complicated than it really is. “there are other more important factors in considering a person’s character than the physical.” Exactly!! Beyonce is natural. She loves natural hair and empowering women (these are her words). People give her a hard time because of the weave but it’s the same reason most black women (regardless of ethnicity and hair texture) wear weaves. You just can’t manipulate and style your hair that much and expect to keep it. Weaves makes sense. They take the damage while their hair stays in tact. I love this blog. You ladies ROCK! Hmm. Call me biased, I am not a Beyonce’ fan. In fact, I admit to being the opposite of a Beyonce’ fan. I am not quick to give her props for representing natural hair, just because she has two background dancer with natural hair. She may see it as appropriate for others, including her sister and backup dancers, but clearly she does not like it on her. Natural hair is still in its trend stage. 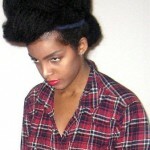 Weave aside, she is not rocking natural hair. I guess I don’t understand why we give any energy to what other people think! Who gives a damn if Beyonce like hair a certain way or not? ITS JUST HAIR PEOPLE! Exactly..who are you to judge how another creates for there life experience? Why even waste your time, you have no power over another period, only over yourself, so what are you giving to the world..because Beyonce is giving all of herself to life and it’s wonderful to see! Beyonce doesn’t have a relaxer and does dye her natural hair. Weaves and wigs are her choice of protective style. 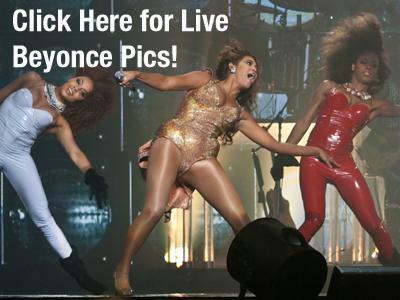 i actually thought beyonce was natural under all the weave…..isnt she?? I’m a huge fan of Beyonce and her quest to rule the world one dance move at a time! That girl has been grinding since she was fifteen and I’m beginning to think she doesn’t sleep. People forget in the beginning she wore her hair out until it was damaged by the constant styling then she rocked braids, cornrows now it’s wigs and weaves and more power to her. She found ways to look fabulous while making sure to protect her own hair under a grueling schedule. I know my hair would be on the floor if I had to constantly manipulate it daily. I think how she wears her hair should not encapsulate all she’s done. She’s a role model for women because she’s about her business, her family and always a lady. Diminishing her accomplishments or her “black solidarity” based on how she chooses to wear her hair is superficial. Side note: I remember the curly looks and in my opinion it swallowed her face, I prefer her in straight hair. I’m a huge fan of Beyonce and her quest to rule the world one dance move at a time! That girl has been grinding since she was fifteen and I’m beginning to think she doesn’t sleep. People forget in the beginning she wore her hair out until it was damaged by the constant styling then she rocked braids, cornrows now it’s wigs and weaves and more power to her. She found ways to look fabulous while making sure to protect her own hair under a grueling schedule. I know my hair would be on the floor if I had to constantly manipulate it daily. I think how she wears her hair should not encapsulate all she’s done. She’s a role model for women because she’s about her business, her family and always a lady. Diminishing her accomplishments or her “black solidarity” based on how she chooses to wear her hair is ridiculous. I hate to say this but…do you think it’s possible that Beyonce (and the record company or whoever else profits from her concerts and performances) lets these dancers rock natural hair because it makes Beyonce stand out more? Think about it. If straight hair is considered more beautiful by some or at least has more “mass appeal” what better way to imply how much more beautiful Beyonce is than other black women AND avoid the dancers from stealing the spotlight. On the other hand that may be reading WAY too much into it. Something to ponder though. I think you are reading too much into it. It depends who is doing the looking because I was more focused on the chics with the natual hair. No matter what people ALWAYS have to find the negative in SOMETHING and some of the comments prove it. I believe that Beyonce does love natural hair because if she didnt, do you think she would have her back up dancers rocking their fros in all of its glory? Seriously. I know that Bee has a say-so of how she wants her dancers to look, ya’ll cant tell me that she doesnt. I fail to believe that. Also, just because she chooses to wear weave, doesn’t mean she doesnt love natural hair. As one person said previously, with all the manipulation one would have to do to their hair as an entertainer, they would end up damaging their hair. This is why many performers choose to wear weaves so they wont have to constantly mainpulate their real hair for photoshoots, performances, and such. Ebony Williams is not in any of those pictures smh. That beautiful, natural hair diva is Kimberly Gipson. Do your homework.